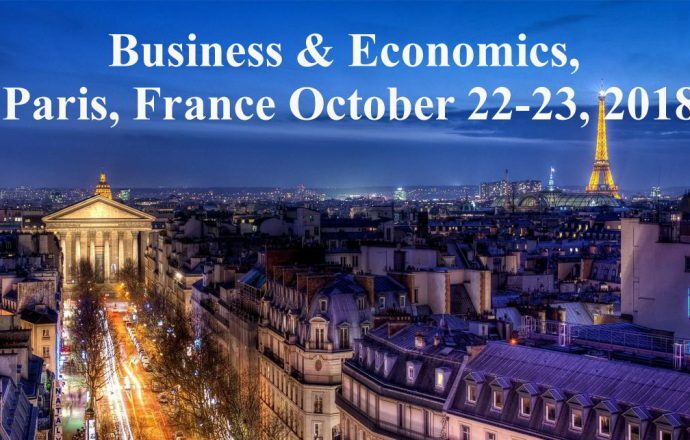 The IAI Business & Economics conference provides a platform for academics, researchers, and Ph.D. students to contribute with their papers on business, economics, management and finance. Further details are outlined below. Registration/Abstract Submissions accepted here until October 5. Submission Deadline for Final Paper you would like included in the conference proceedings by November 15, 2018. Within 5 days of receiving your proposal/abstract or full paper, we will contact you for a notification of acceptance or rejection. If your paper is accepted, additional conference and registration-specific information will be included. Abstracts and full articles will be published in the proceedings section of this web page in electronic format. Full-length manuscripts may be published in our Journals. The review process for the journals is slower and more demanding in its standards. Although both the proceedings and journals are refereed, research that meets the refereed standards for the conference and the proceedings may not meet the refereed standards for the journals. The location for our October 2018 conference is New Sorbonne University Paris 3 (Université de la Sorbonne Nouvelle). Venue for the IAI Conferences:Meeting room 503, located on the Censier campus, 13, rue Santeuil 75005 Paris (La salle de réunion 503, située sur le campus de Censier, 13, rue Santeuil 75005 Paris). 80 EUR per additional paper if presenting more than one paper at the conference. The conference registration fee includes: participation at the conference, 20-minute time slot to present one paper at the conference, a printed copy of the conference program, the proceedings online, and admission to all receptions, coffee breaks, etc. All attending conference participants must pay the registration fee and at least one author per paper must attend. For the participants that cannot attend the conference, there is an opportunity for presentation of paper through an e-session. The same fees apply for the virtual presentations. The registration fee also includes a complimentary standard journal review of your conference paper for up to six months from the date of the conference. The conference registration fee must be prepaid. Please complete the conference registration form below. Attending only and non-presenting conference participants should also submit a registration form (one per participant). You can place your payments here. For proposals/abstracts, your submissions should not exceed 1500 words. The proposal should include name, institute affiliation, mailing address, and email address for all authors. However, you are still required to submit a proposal/abstract or full paper and one author has to pay the registration fee. Please bring your presentation on a USB flash drive. Each presentation room will be equipped with a laptop and data projector for PowerPoint presentations. The Interantional Academic Institute will make every effort to accommodate, but cannot guarantee, your preferred presentation dates and times. Paris 2018 Conference Proceedings will be available on our website three-to-four weeks after the conference.